Mattel SEA having a colouring contest together with Giant. Contestants below 12 years old are encourage to participate. 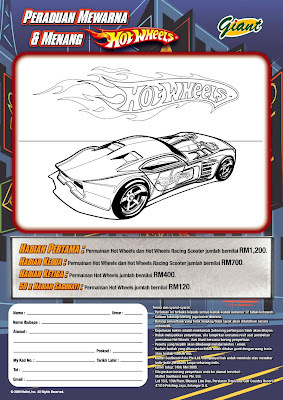 Photocopy or printed form are acceptable for this contest, entry need to attach with original Hot Wheels resit from Giant as proof of purchase.